End of Tenancy Cleaning Near Me can provide you with professional carpet cleaning in London! Get a high-quality service at the most competitive prices in your area! You can book our carpet cleaning experts seven days a week and even in the last minute. Our professionals will deal with dust, dirt, and stains to restore the as-new appearance of the carpets in your home or office. All of our rug and carpet cleaning services in London are secured with our 100% Clean Guarantee! While the rest of the local cleaners will avoid to provide you with an assurance for the result, we are confident in our team’s experience and skills, and we do not hesitate to offer our guarantee for the quality of our service. Although it’s improbable, if you are less than satisfied with the cleaning of your carpet, we will reschedule another appointment at no extra cost for you. End of Tenancy Cleaning Near Me stands for every single rug or carpet cleaning job our expert technicians do in London. If you want to save time and money, do not wait to book our local rug cleaning team in London. 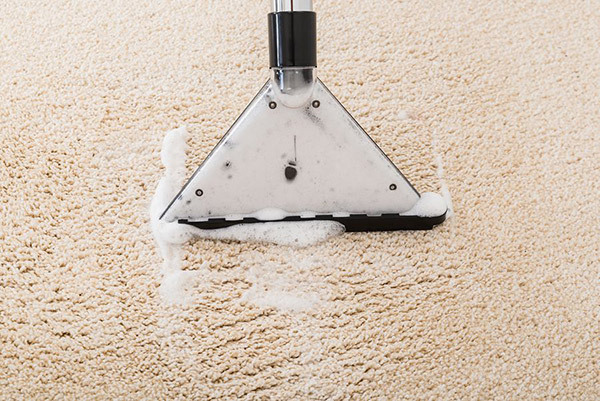 The method we use to clean carpets is hot water extraction. This deep steam cleaning procedure combined with professional grade cleaning solutions effectively removes dirt, stains, and bacteria and brings back the rug its beautiful look. Our technicians have years of hands-on experience in maintaining all types of carpets. We clean both synthetic and natural rugs – Oriental carpets, Tabrese rugs, Persian carpets, Moroccan rugs, area rugs, Indian carpets, and more. We can also apply a stain-repelling product to protect your carpet and prolong the cleaning result. Book our carpet cleaning experts online or call our operators on 020 3962 7438 today. Book a Carpet Cleaner Now! Book End of Tenancy Cleaning Near Me to save time and money and get the best results when maintaining your home or office carpets! If you hire our professionals for several cleaning jobs at once, you will get a special discounted end price for booking multiple services! You can combine carpet cleaning with our upholstery cleaning or curtain cleaning service. We can also clean your oven, or deal with dirty windows from inside and out. Our carpet cleaning technicians can be booked to clean both your residential or commercial property.